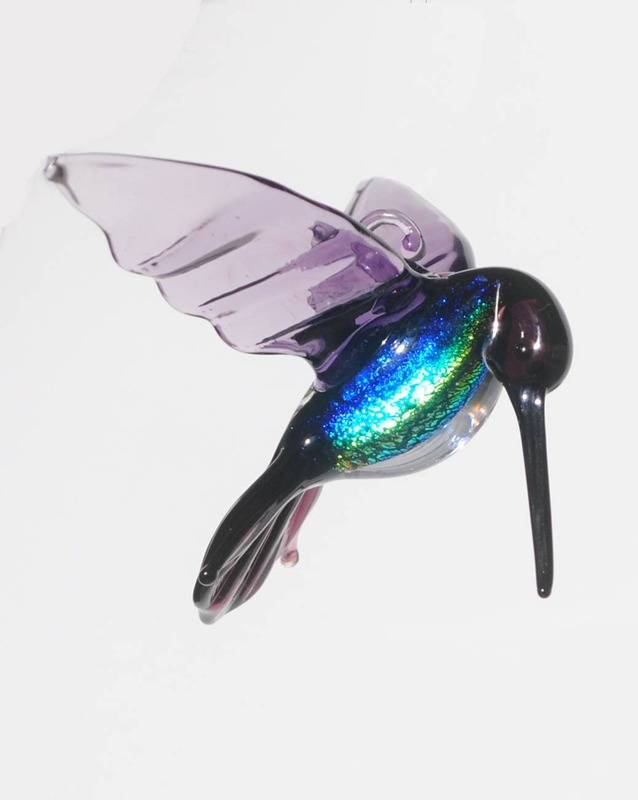 Handmade, lamp worked glass hummingbird ornament with dichroic glass. Hummingbird is always made with 2 to 3 colors. Colors combinations may vary depending on glass rods in stock but will always be made in beautiful, vibrant, and flamboyant colors.